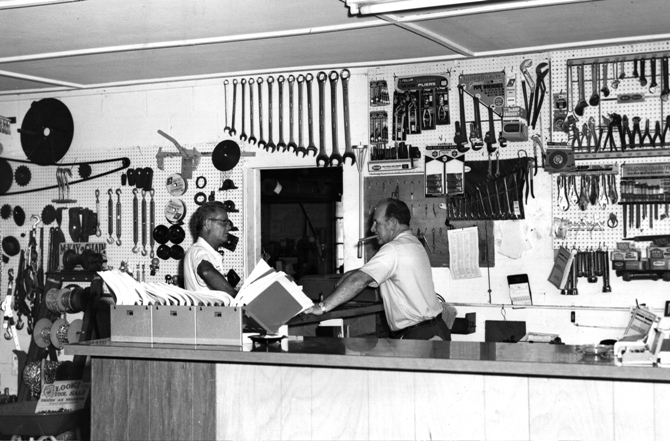 Back in 1947, Triangle Hardware began as a welding shop. Owner and founder L.E. 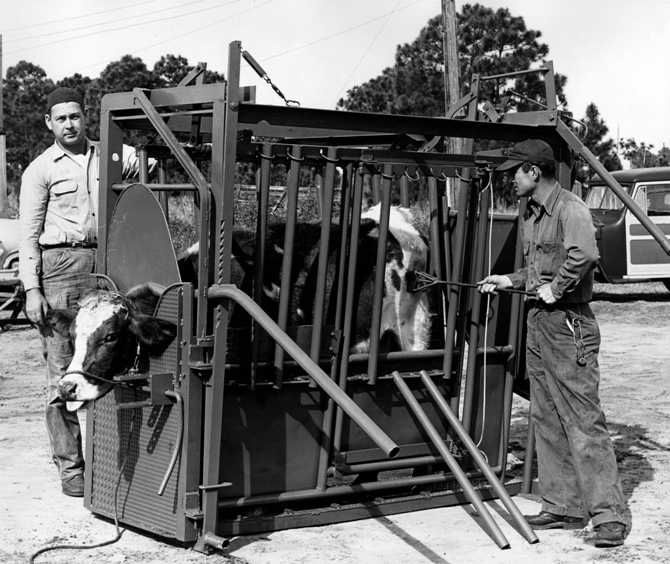 Selph had been a welder in the navy and opened the business shortly after World War II. 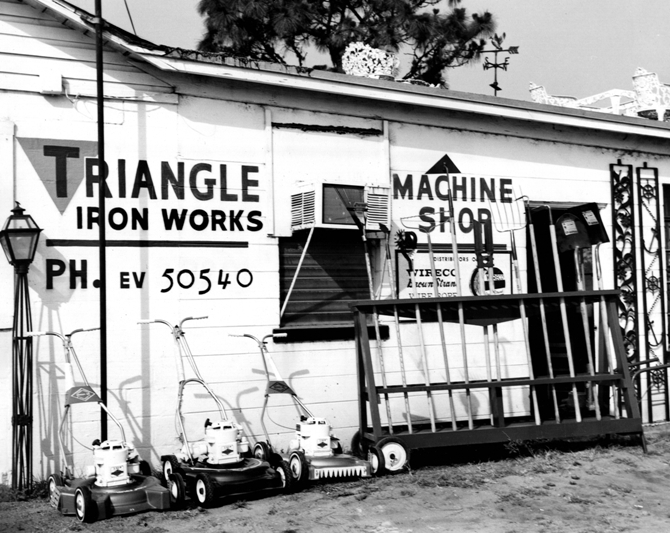 In the beginning, we were called Triangle Iron Works, and we worked primarily as a top welding and machine shop. We stocked nuts and bolts and basic hardware on the side. 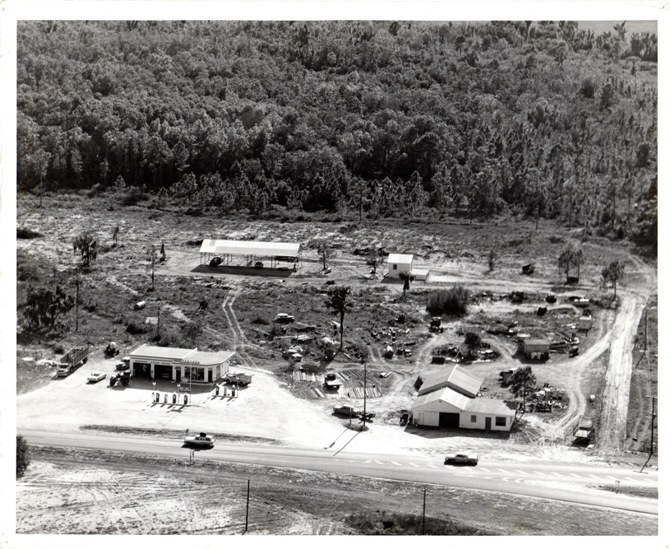 Then in the 1980’s, the machine shop was sold and the new building you see today was built. 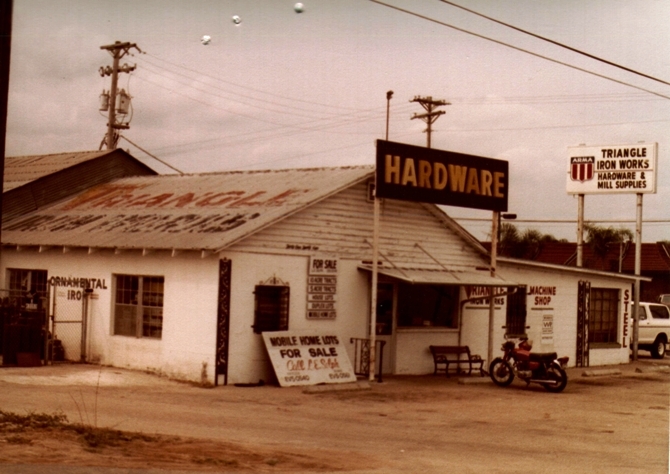 From that time on, Triangle Hardware became strictly a hardware store. 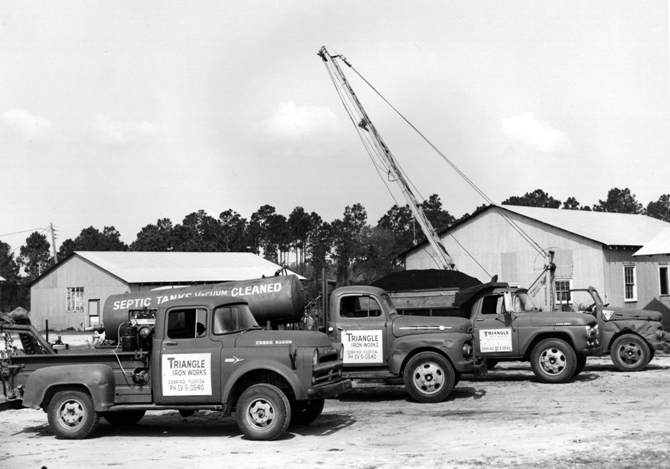 Below, we’ve gathered a few old photos of our company, taken during our earlier Triangle Iron Works years.